Our name may have “Stairs” in it, but our work doesn’t stop there! 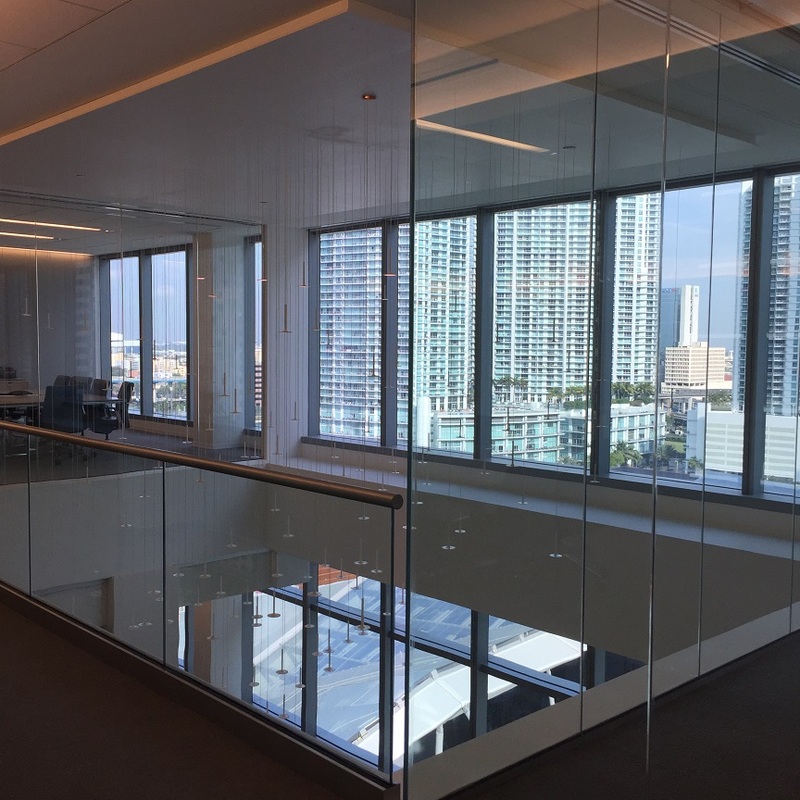 A commercial building located in South Florida’s Brickell City Center received new laminated glass wall partitions and glass railings. 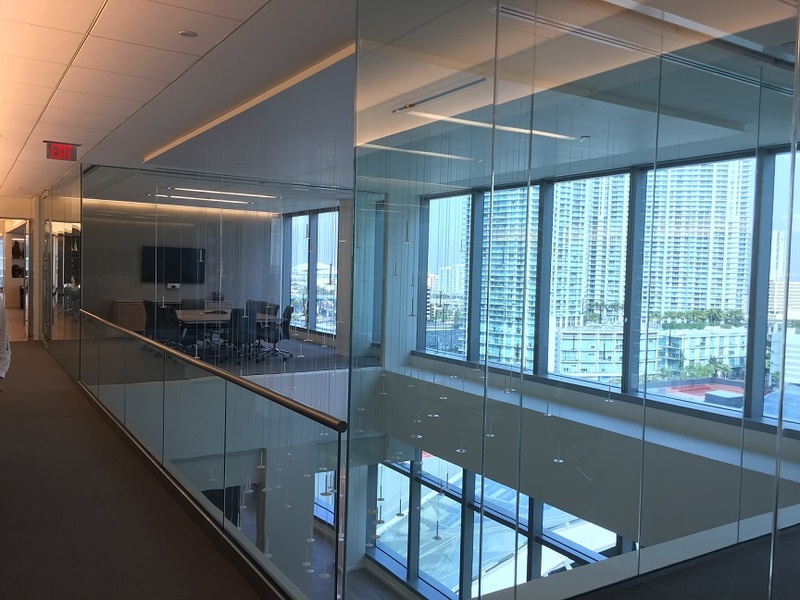 For this commercial design, we installed three foot by ten foot high over-sized glass wall panels and laminated glass railings for their exclusive 12th floor office overlook! 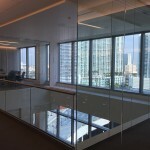 The laminated glass wall partitions allowed for some much needed natural sunlight to brighten this once darkened office. 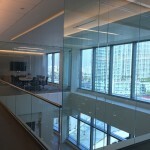 The two conference rooms are separated by an opening to the floor below, which is connected by our frame-less glass railings. 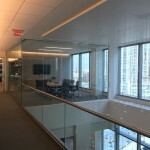 The glass railings were installed by utilizing an aluminum base shoe, which was later covered in a brushed stainless steel cladding. A rounded stainless steel cap rail was also top mounted to the laminated glass railings for added rigidity. 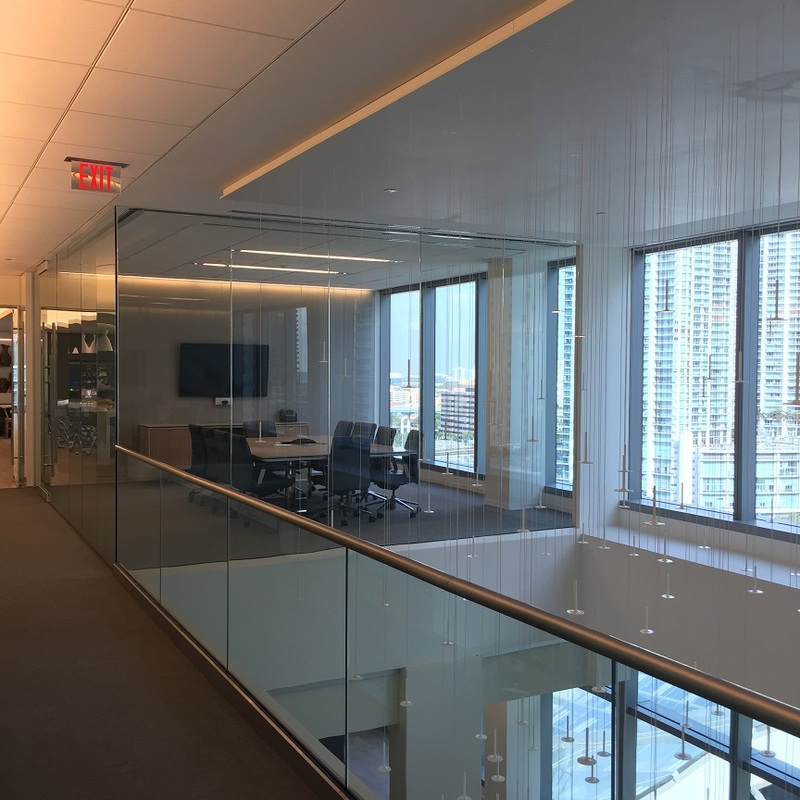 Our glass partition and railing design truly accentuated the grandeur of the corporate main lobby entrance below. Another successful installation for Bella Stairs!